It would be easy for the entire discussion of the NBA’s playoffs to be about the play on the court. In a year where five 1st round match-ups go to 7 games and 8-seeds have chances of knocking off 1-seeds, the competitiveness is off the charts. There are few teams that look like they can breeze their way through the conference finals, if they can even make it out of the first two rounds. Unfortunately, there is just as much action happening off of the court, and it happens to be with one of the playoff teams. The Clippers are fighting their battle against the Thunder, but owner Donald Sterling have caused them to rally against another opponent…owner Donald Sterling. This is not new to the organization, as Sterling has made comments and run the organization in some questionable ways in the past. The element that made the current situation more volatile was his direct and public displeasure for racially-diverse individuals attending his games. The soundbite has been played millions of times by now and it was mostly silence from Sterling after the story broke. Other than saying that he wanted to remain connected with the team, there was no reaction about his actual comments until more recently. So what did he say…after posting a picture with Magic Johnson, Stiviano, Sterling’s girlfriend, was told by Sterling to take the Instagram post down. She eventually removed the picture, but Sterling went on to say, “It bothers me a lot that you want to broadcast that you’re associating with black people. Do you have to?” He went on to make comments about not wanting to have black people brought into his arena. Sterling supposedly was shocked to later find out that he had been recorded and the audio was leaked to the public. This reveal produced an immediate public reaction of disgust and anger toward the owner. Many were ready to remove ownership immediately, and the NBA was too. Though there is a process that has to be followed, new commissioner Adam Silver addressed the public to announce that Sterling had been given a lifetime ban from NBA activities, a fine, and a forced sale of the team would be decided by the other NBA owners. This tough decision is something that has not been experienced in other major sport, but the NBA got it right. No tolerance for bigoted comments and poor leadership of an organization is the right call. Sterling decided to break his silence finally with an interview with Anderson Cooper. During this interview, Sterling proceeded to claim that he was sorry for his comments and was in disbelief that he would ever say such hurtful things. He seemed to blame Stiviano for the commentary and proceeded to reinsert his foot into his mouth by dragging Magic Johnson back into the conversation. Now claiming that Magic has failed to be a good role model for people of color, he contradicted himself by trying to insert comments about Magic’s greatness around commentary against Magic’s outreach and example to the children of Los Angeles. The impact of this interview and Sterling’s statements only intensifies the frustration with a man who clearly does not understand the concept of racism. You do not need to be a social justice advocate to recognize that Sterling has continued to make statements that are just plain offensive. He shows a lack of integrity and respect for anyone of color. He could not even just give a straight apology in front of Anderson Cooper. 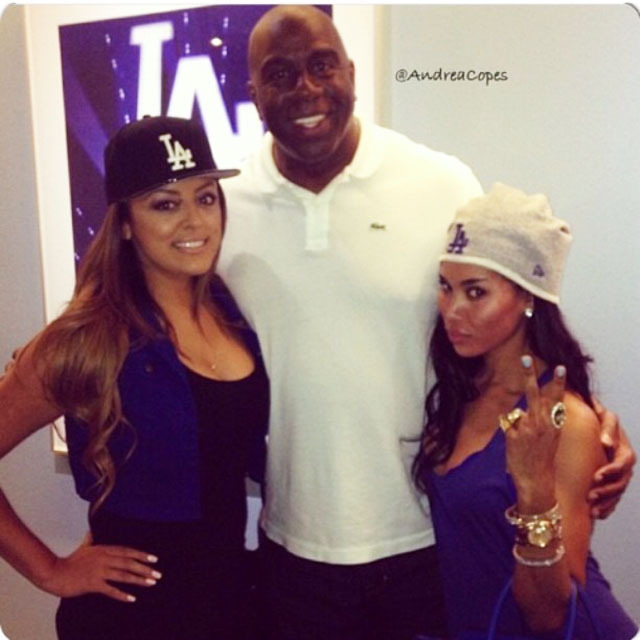 He had to interject comments of continued disrespect and return to referencing his opinions of Magic Johnson. If he wants to talk about poor examples, he should just look at himself in a mirror and take a moment to think about what he has been saying publicly. He has perpetuated social rifts between people of different races by failing to own the statements he has made on multiple occasions. Acting like he is shocked at himself, ignoring his past (un-adjudicated) discretions, and continuing his poor public representation do not make a case against his racism. The NBA and Clippers organization has reacted quite professionally throughout this process. Silver announced the decision against Sterling and immediately pushed for the owners to start the process of the forced sale. The players protested Sterling’s involvement with the team by hiding the Clippers logo on their uniforms around the time of Silver’s announcement. Coach Doc Rivers took the high road and tried to keep the team focused on playoff success and commented only to state his displeasure with the failure of Sterling to understand his impact on the topic of racism and failure to appropriately apologize for his indiscretions. The hope is that Sterling can be removed completely from the Clippers and we can get back to basketball. The games go on but this wretched situation continues to fester in the background. 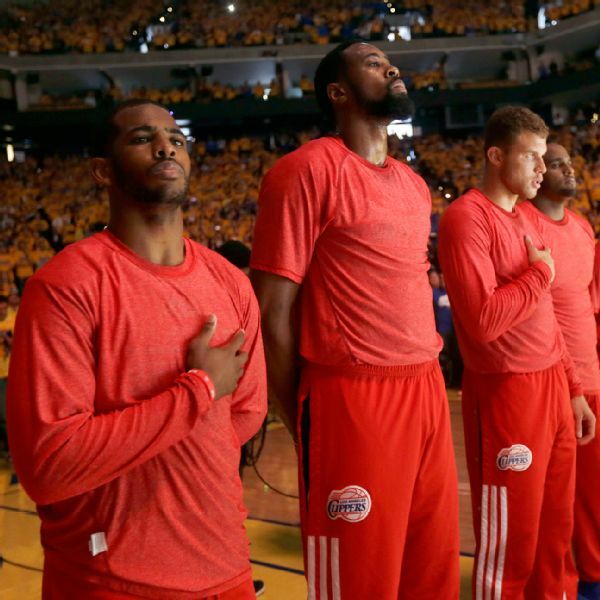 The NBA has made a bold decision and definitely needs to continue to stand behind it.